As a child, Cluedo was always my first choice of board game. As an adult, my favourite TV shows and books revolve around crime and murder. So is it really any surprise that the best tour I’ve experienced in Vietnam was this insane murder mystery tour of Saigon’s Chinatown? Not. At. All. And I’m confident it will be a highlight of your trip to Ho Chi Minh City too! Urban Tales isn’t just a tour, it’s more like an innovative tour concept. I am huge fan of DIYing on my travels and honestly I try to avoid doing guided tours as much as possible. But Urban Tales is different from your average city tour. 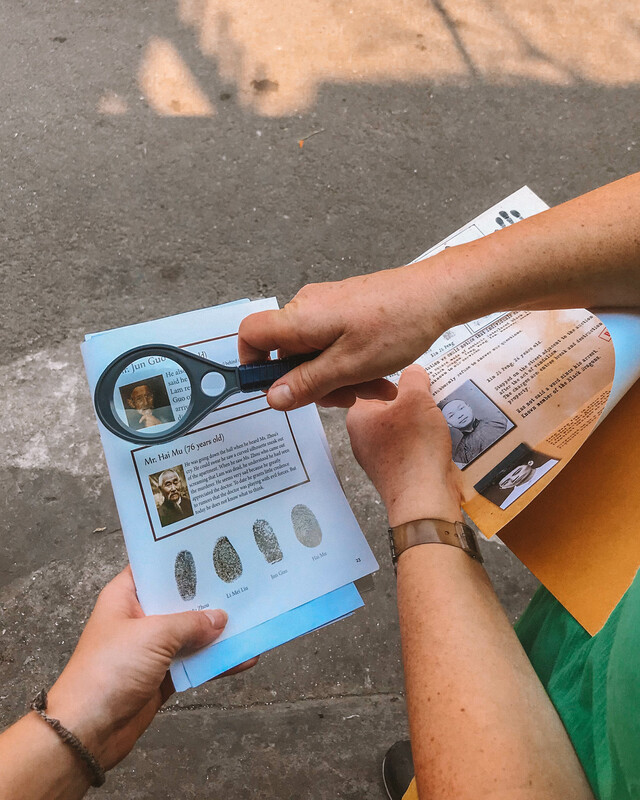 Imagine an escape room and a walking tour had a baby; well, Urban Tales’ murder mystery tour of Cholon would be that child. For one, it’s self-guided so you can explore at your own pace. The clues are not only used to solve the murder but also teach you about the sites and temples en route. But, most excitingly, it involves hidden actors – yes, real life people who are playing the game with you!! The actors are so discrete and hidden that you might have a hard time finding them (we walked past a few without realising). Plus most of them are just going about their regular day jobs which means you get to interact with locals on a whole new level. Disclaimer: I was hosted by Urban Tales on this murder mystery tour of Cholon. As always all experiences and opinions expressed are my own. My mum and I huddle in Dr Lam’s office, police tape still marking where his body was found. We rummage through his possessions, looking for clues that will help us start hunting for the murderer. 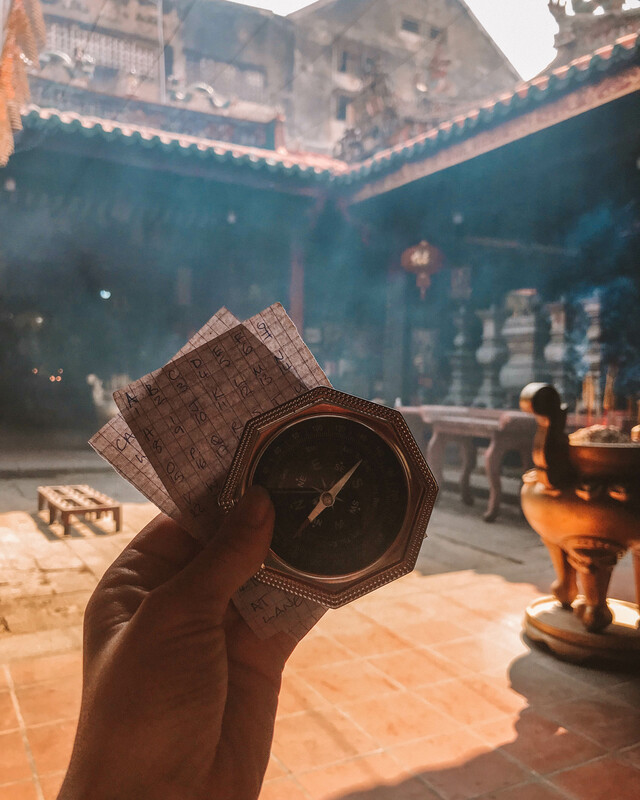 After finding a couple of leads, we grab some detective tools (a map, a compass and a magnifying glass) and head out into the streets of Cholon. 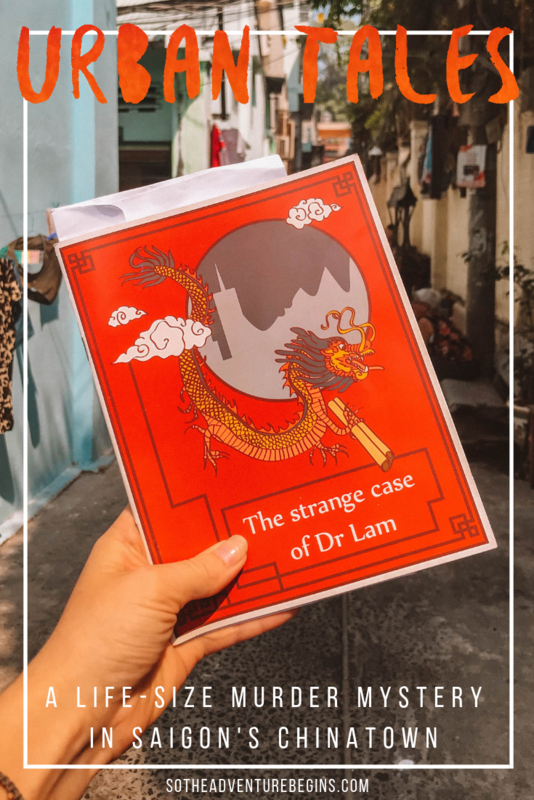 This area of Saigon is a mecca of Chinese pharmacies and temples and it’s not long before we discover that many of our clues are intertwined with ancient legends. We ventured into some of the different pagodas searching for answers. 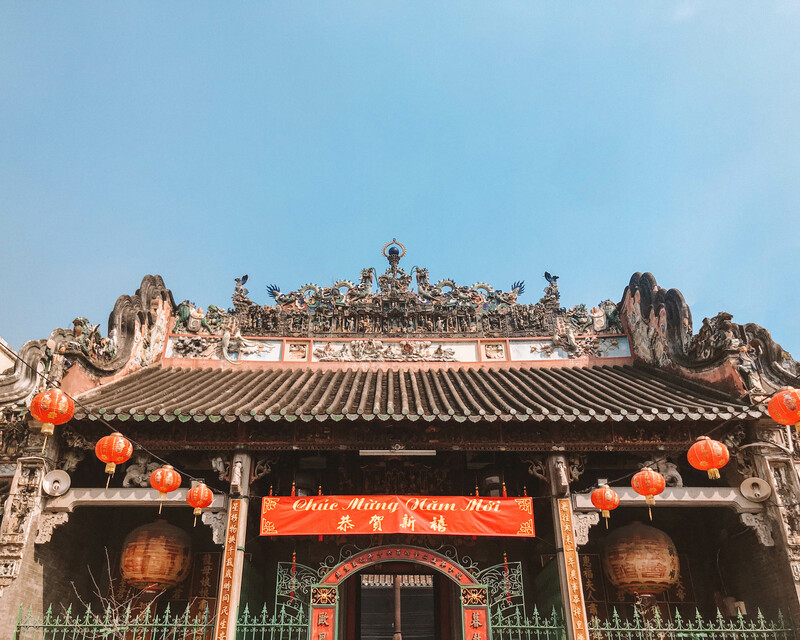 We realised that, luckily for us, Tet (lunar new year) was just starting; many of the pagodas were decorated with lanterns outside and locals were inside having photographs taken wearing ao dai (Vietnam’s beautiful traditional dresses). The clues are quite cryptic and not simple to figure out, so it’s not all a walk in the park Cholon. A couple of my friends are also doing the tour and we’re have a little [healthy] competition to see who finds the murderer first! After a slow start, my mum and I get into the swing of our detective roles and are starting to race around Cholon. Along the way, many interesting buildings and quirks of the temples are pointed out to us by our puzzle book. 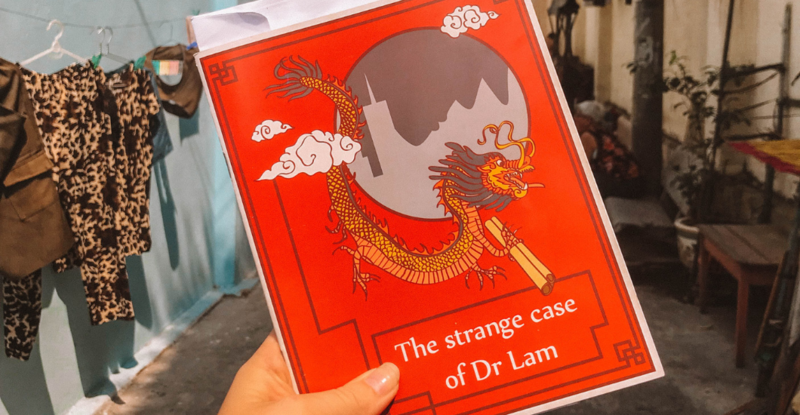 With the help of the street actors we started to fit the puzzle pieces together and inch closer to the murderer of Dr Lam. By the time we had collected all the clues we had a reasonable idea of who the murderer was. It was about 11:30am when we called the “police” with our suspect and to our relief we were spot on!! We have a momentary celebratory high-five before being informed of another mystery that needs solved! We put our celebration on hold and don our detective hats again! Without giving away the game, we were tasked with uncovering an ancient and mysterious item…worth killing for! This part was tricky to solve but after a good 20 mins of back and forth, mum and I figured out where the secret item was hidden and raced to find it. Unfortunately my friends were speedier at solving the clues and beat us to the finish (but only after calling the “police” for assistance). This didn’t dampen our mood though – we had just solved a murder!! How to book: Secure your spot on the Urban Tales website. You’ll need to confirm your spot via email. I recommend booking a week in advance to ensure availability. 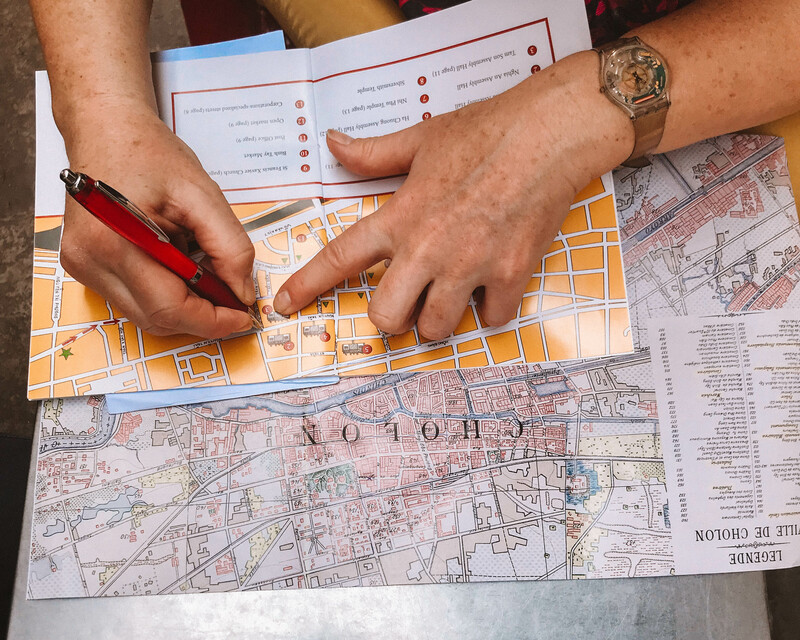 How to get there: The Urban Tales murder mystery tour takes place in the Cholon area (Saigon’s Chinatown in D5). Urban Tales offer pick-up and drop-off in stylish vintage cars or you can make your own way to the start point (the address will be sent post-reservation). Starting time: The tour starts at 8:45am but aim to be there around 8:30. Duration: The tour takes somewhere between 3-4 hours. As it’s self-guided it depends on how fast you figure out the clues and wander around the area. NOTE: This is a walking tour so ensure you are wearing suitable shoes. Tea and water is provided at the start, and there is a refreshment provided by one of the hidden actors towards the end of the tour. There are also many street vendors in D5 that you can get drinks from along the way. 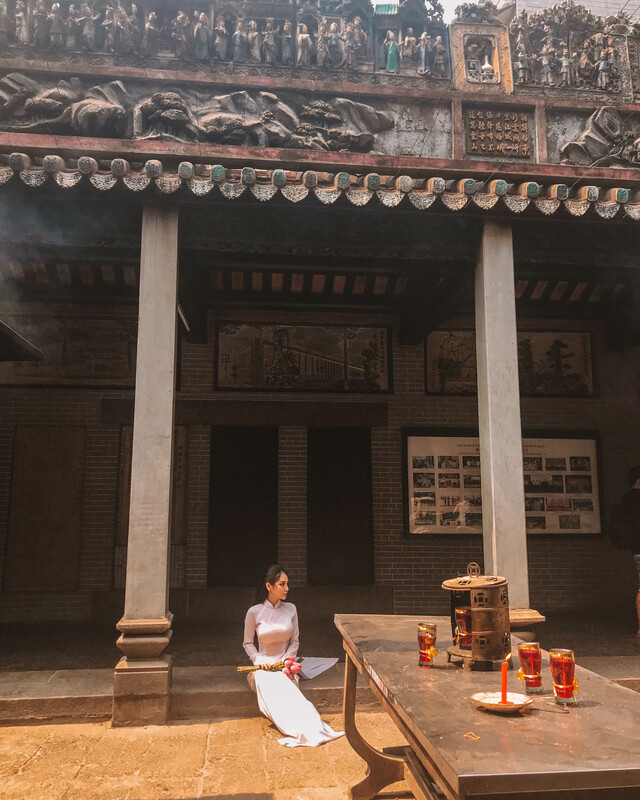 The tour is finished before lunch but there is an option to add lunch onto the end of the tour if you want to experience some of the local Chinese cuisine. 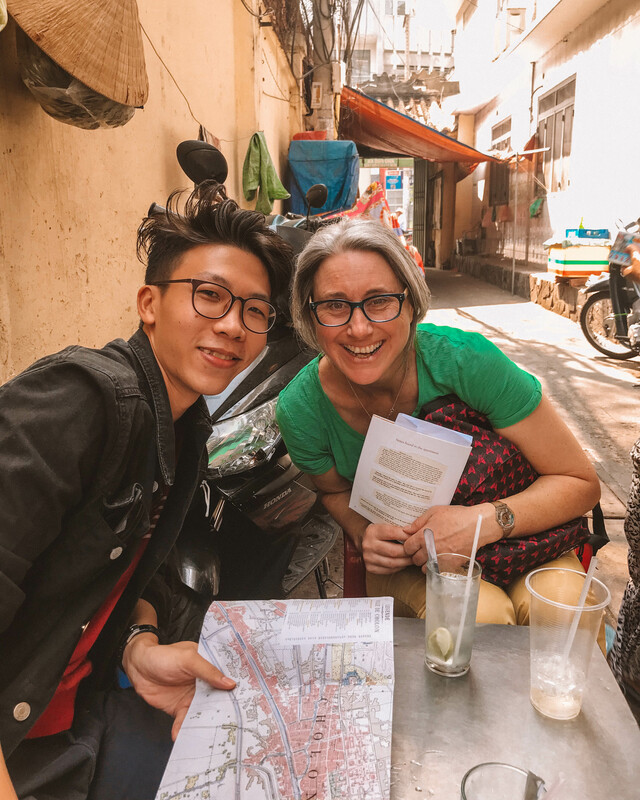 This murder mystery tour of Cholon comes in as one the most unique and exciting tours I’ve ever done – the perfect way to explore Saigon’s Chinatown! Enjoy this post? Like and share it!